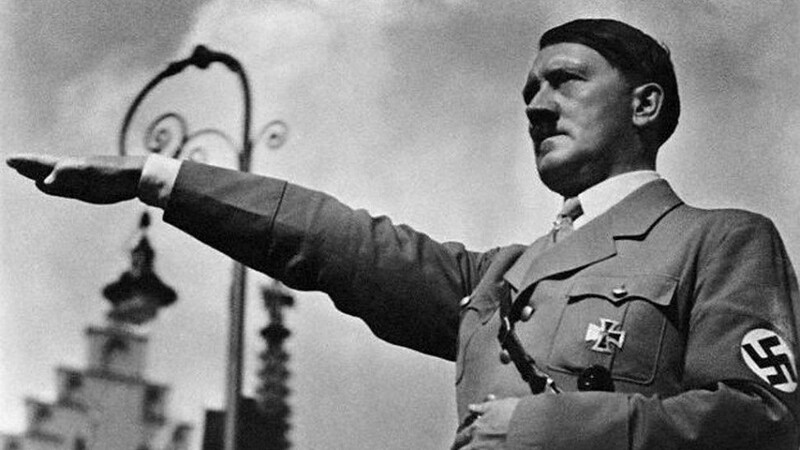 More than any other individual in history, Adolf Hitler stands out as the most influential, the most studied. We want to know why he became so powerful, and to understand his psychology. 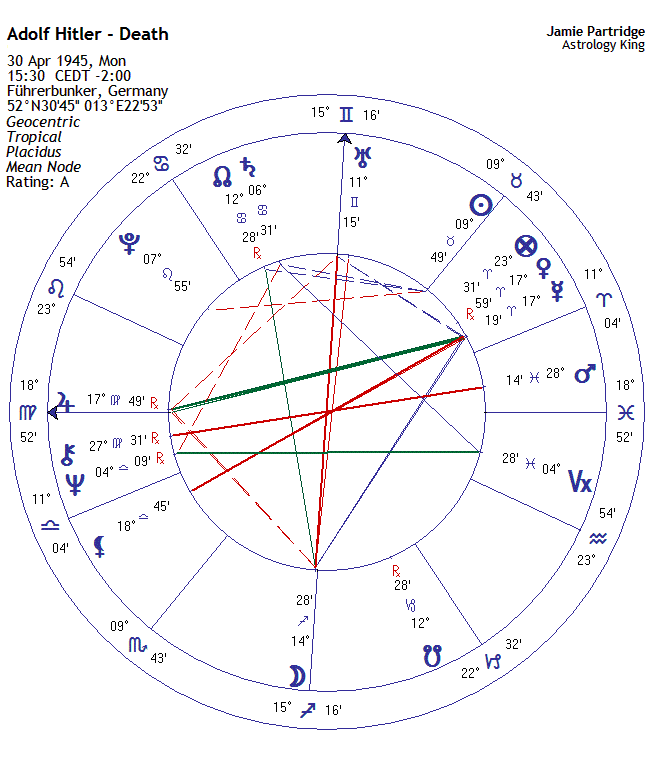 Adolf Hitler’s horoscope has been extensively studied over the years, but now I want to bring it up for discussion again because we are entering a phase in history with ominous similarities to the time when Hitler rose to power. The current economic crisis has been likened to the Great Depression. The high unemployment which led to social unrest in the 1930’s is coming back, with US figures approaching 10%. The currency war beginning now is only the second in history, the other coming after the Great Depression, preceding World War II. The extreme right is gaining popularity and power in Europe. Where Jews were the scapegoat in the 1930’s, it is now Islamic immigration that is fueling the sentiment. Even in the traditionally open-minded and progressive country of Sweden, last month’s elections saw a populist right-wing party win seats in parliament. We are entering a challenging period, astrologically the major influence for the next four years is Uranus square Pluto, radical upheaval on a global scale effecting politics, the economy and society in general. 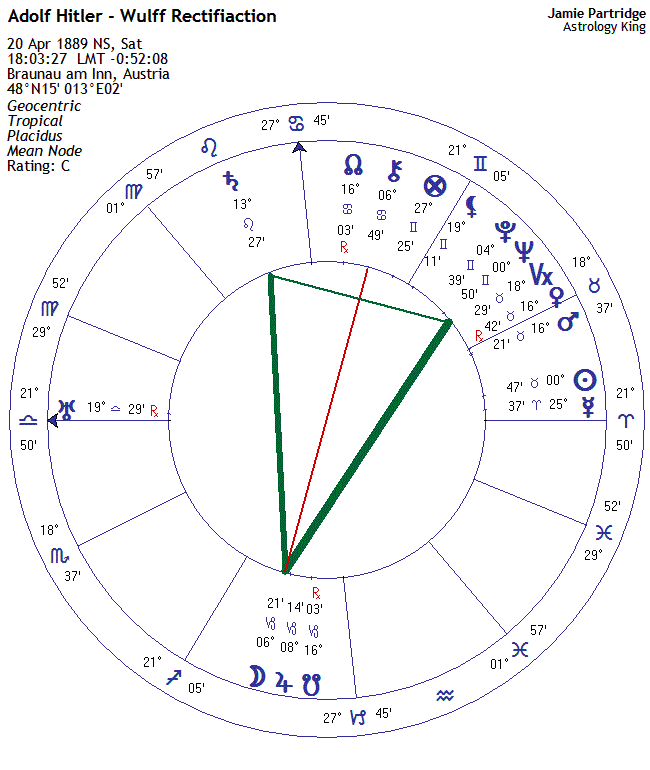 The last time Uranus was square Pluto was in the early 1930’s, the rise of nationalism and the rise to power of extreme personalities, a manifestation of the mass conscious fears of the time. You won’t get anything like that with the 6:30 pm time. Very impressive work by Wilhelm Wulff, I have no doubt whatsoever this is the correct time of birth for Hitler within seconds. The Ascendant is the most personal point in any horoscope, describing the soul and the physical body. With Uranus conjunct Ascendant we have a rebellious soul. Hitler was revolutionary, eccentric and odd. Uranus can be abrupt, uncaring and angry. The Ascendant is the projection of the soul through the physical body, he had peculiar features, and in the end a contorted and spasming body. His speeches showed the electric energy of Uranus, tense facial expressions and other contorted gestures with the hands. Importantly there was a major and fortunate fixed star rising at the moment of his birth. 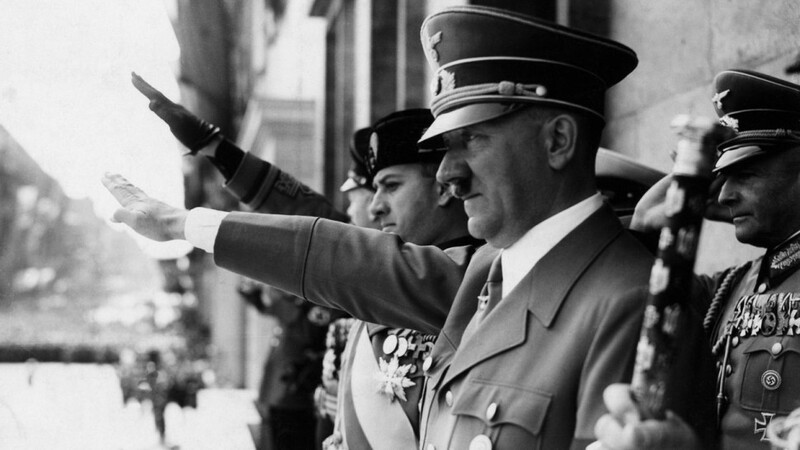 Hitler was a fortunate man, rising to dominate the world stage from humble and awkward beginnings. Fixed Star Arcturus, the brightest star in constellation Boötes was rising by 09′. This is the light bearer, the path finder. Ebertin said “Bear leader-guardian…a reputation of achieving justice through power. It therefore makes the native belligerent and quarrelsome…A really go-ahead and enterprising spirit“. Führer means leader or guide, in German. Ebertin went on to say “If critically aspected, the good influence will be hampered or made into a real handicap“, and this is what we saw in the transits of his death with the lunar eclipse square, and the new Moon and Part of Fortune opposite Arcturus. Natally we could say that having Uranus on the Ascendant is a critical aspect. Robson said of Arcturus rising “Good fortune, with many cares and anxieties through own folly.” Folly is the foolish actions he took against the advice of his generals, and this was exacerbated by the influence of rebellious Uranus. Hitler had a waring spirit. His Part of Fortune was on the star Betelgeuse “war and carnage.” This star was activated by a conjunction from Saturn when England and France declared war on Germany in August 1914. Hitler was awarded a second class Iron Cross for his bravery on the Western Front later in 1914, and the first class Iron Cross in 1918. The Part of Fortune is happiness of the soul, and his experience in WWI gave him that spiritual happiness that was lacking in his life. It gave his life meaning. There are many other aspects and fixed stars in the chart. I am only going to cover what I see as the major influence however, and that is the Quintile Kite aspect pattern, commonly known as the Golden Yod. This is similar to a standard Yod configuration, in that is represents a major focus in life, a mission which is fated. People and circumstances in the life continually push the person toward the completion of the task. With a Golden Yod, two planets are in quintile aspect (72 degrees apart), and they focus their combined energy like a laser down onto the action point via the two biquintile aspects (144 degrees). Quintiles are aspects that are “associated with the use and abuse of power” [Hitler and the Golden Yod]. When we get these aspects combining to form a configuration, the energy is amplified, like the concentration of energy within a crystal. It makes the major configurations so much more potent than a single aspect on its own. 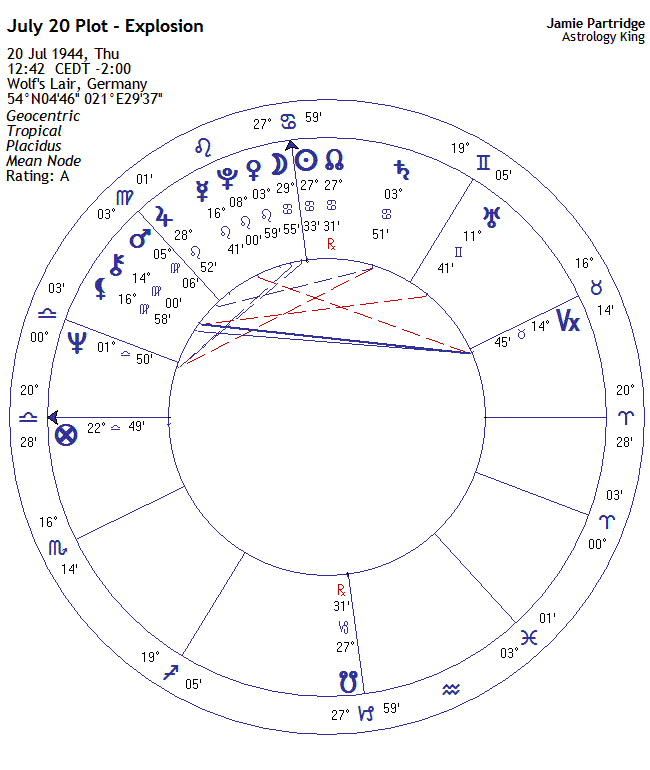 Hitler’s Golden Yod is a defining feature of his chart. The potency is greatly increased because the aspects involved are close, tight orbs. With Saturn quintile Neptune we get the spiritual idealism of Neptune combined with the practical application of Saturn. Spiritual discipline and a saviour/victim complex, but also trouble with discerning reality from illusion, and fear and paranoia. This spiritual discipline, part of the mission he felt compelled to undertake, is focused on his subconscious, his Moon. A very emotional man, feelings influenced by Saturn and Neptune can be cruel. Saturn can be very negative, fuelled by Neptune fantasies and illusions. He contemplated suicide after his failure in the Beer Hall Putsch. Saturn Neptune nastiness feeding his emotions, suspicion and fear welling up inside. Jupiter conjunct Moon expanded, exaggerated all that energy. It also increased his great personal appeal and magnetism with the public. The darkness from Saturn and Neptune filling his emotions are strengthened by the influence of the fixed star Facies conjunct his Moon. Facies is a nebula in constellation Sagittarius, and it is on his Moon by 24 minutes, so it’s a strong influence. It gives a violent death, and Morse said Facies “will mark those who must see their outlook and beliefs carried into practical effect somewhere, so that they go out on missions, set up their own churches.” This practical application of a spiritual belief mirrors the effects of Saturn and Neptune focused on his Moon. So Hitler’s Moon, his inner feelings, his relationship with the public, is focused, driven and powerful as defined by the Golden Yod, focused, driven and ruthless and defined by Facies, and spiritually disciplined, dark and sinister as defined by Saturn and Neptune. Opposite his Moon is Chiron, this is where the energy finally got expressed, the reaction point of the Golden Yod. The final expression was negative, due to the influence of Saturn and Neptune and Facies. Negative Chiron is painful wounding. The critical importance of the Golden Yod in his chart is evidenced by the transits at his death. The lunar eclipse of December 1944 conjunct his Chiron, the reaction point activated for that final few months of his life. Then along came Saturn, Lord of Karma, the Reaper, conjunct his Chiron in May 1945. 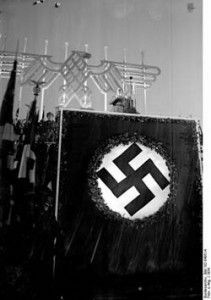 Some of the most important people in Hitler’s life also had Yod aspect patterns, including Rudolf Hess, Hermann Goering and the architect of his spiritual mission, Heinrich Himmler – Nazi Yods. I heard a rumour that a certain esoteric group regards Hitler as an incarnation of Moses. Needless to say, I was gob-smacked on hearing this. Moses failed to actually lead the Hebrews into the Promised Land. Because of what he did to the Jews in WWII, Israel became a viable entity – in a roundabout way. This was “Moses'” last task before he moved onto a much higher level than the place we normally go at the end of an incarnation.